A new study, led by Dr Andrew Kunzmann, a researcher from the School of Medicine, Dentistry and Biomedical Sciences at Queen’s, has found the combined risk of death and developing a number of cancers is lowest in light drinkers, consuming less than one drink per day, and increases with each additional drink per week. The research findings have been published this week (Tuesday, 19 June) in the prestigious journal PLOS Medicine and were conducted in partnership with the National Cancer Institute and National Institutes of Health in the U.S. 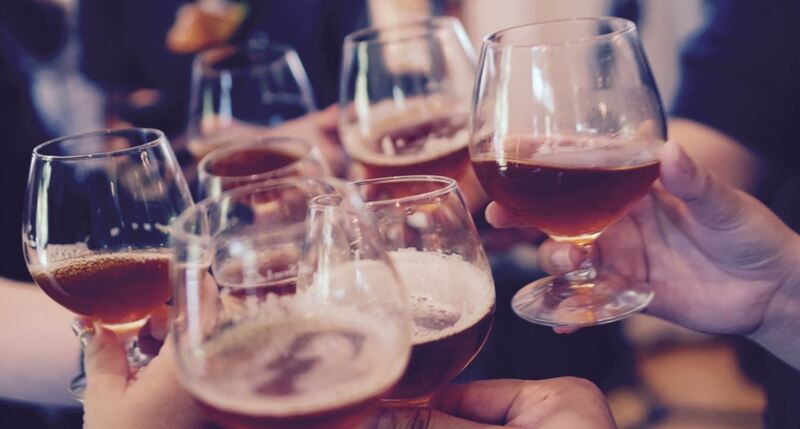 Previous evidence has suggested a ‘J-shape’ risk curve to alcohol intake and mortality, with some protective effect of light to moderate drinking, particularly for death from cardiovascular disease. Dr Kunzmann continued: “This research reflects the ethos of Queen's University which is dedicated to tackling global health challenges. Media enquiries to Sian Devlin at Queen’s Communications Office on tel: +44 (0)28 9097 5292.